I also think that it’s important for the military member to feel close to the child as well. Even at this young age, while your children may not remember the deployment or understand what’s happening, the military member does and he still needs that connection with the child. I know my husband was so worried about our son not remembering who he was when he got home. I think because of both of our efforts our reintegration was easier and Adam had an easier time once daddy did come home. There was no problem when daddy came home and Adam seemed happy that to see him again. Keep a “Photo a Day While Daddy is Away” album either on Facebook or on a private page where you can post a photo of your child every day for your military member to see. Try to capture one memory per day either of what you did that day or just of your child being cute. My husband loved being able to see the photos of my son doing new or cute things. The hard thing is remembering to take a picture every day. I was really good about it in the beginning, but then I forgot during the second half of the deployment. Hang up photos of daddy in your child’s room or around the house where your child can see them. A friend of mine had a huge poster of daddy she hung in her son’s room during deployment. It was right at his level so he could give daddy “kisses” every day. You can also make a small non-breakable album filled with pictures of daddy or of your child and daddy together so that your child can look at it. 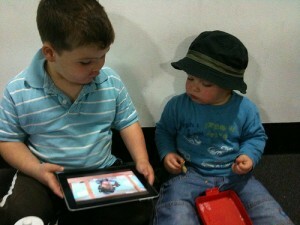 I know my son loves looking at photos of us and is always dragging our albums around the house! Also, use your camera or your phone’s camera to capture little videos throughout the day. I would post videos of new things my son was doing on Facebook and my husband could log on and watch them when he had time. He loved seeing those little bits of home and it made him feel closer to us. 2. Talk about Daddy all the Time! Once my husband left, I made sure I talked about him every day to my son. Even though Adam probably didn’t understand everything I was saying I would tell him daddy loved him every night before bed, I would tell him that daddy was thinking about him, that daddy was working hard for us, that daddy was going to call soon and more. I just talked him up as much as I could. 3. Let your child help with care packages. Ask your child what he/she would like to send to daddy. Take them to the dollar store to pick out things to put in the care packages. My son was too little for any of the above, but I did let him color pictures for daddy and then I would sign his name and "I love you daddy" and send it off in each package. My husband loved it! 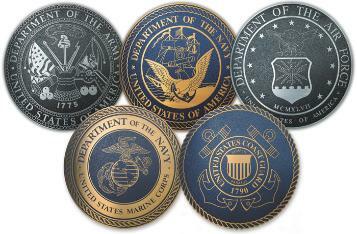 If you are a military family you probably know how valuable Skype or any other video program can be. 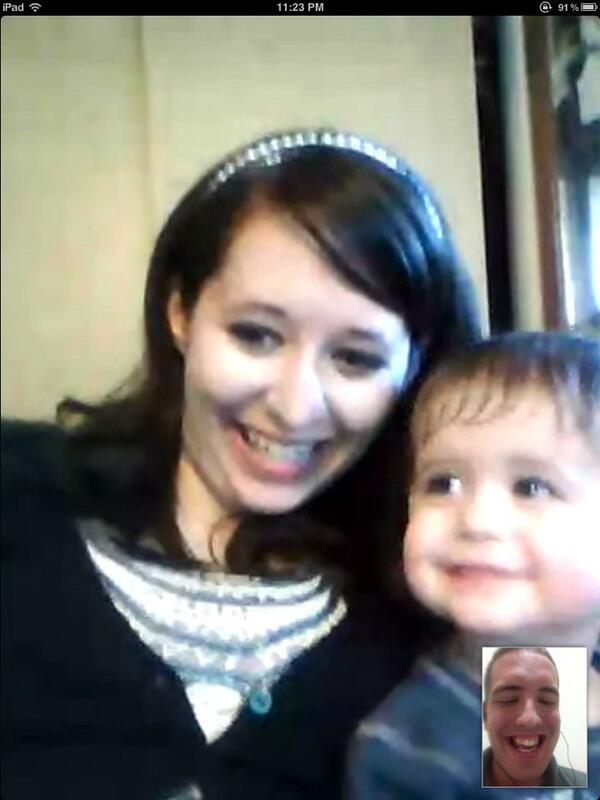 We used Skype to talk, and so that daddy could watch Adam play. 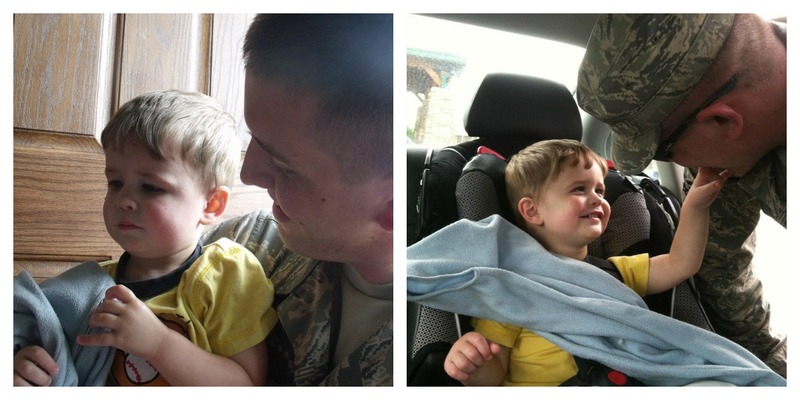 My son couldn't talk, but he was able to see daddy almost every day and keep in touch that way. Daddy was able to watch Adam play as I followed him around the house with my laptop. Adam could show him the newest thing that he made or something else he wanted to show daddy. Here is a little more about Skype and how we used it during deployment: Love in the Form of Skype. 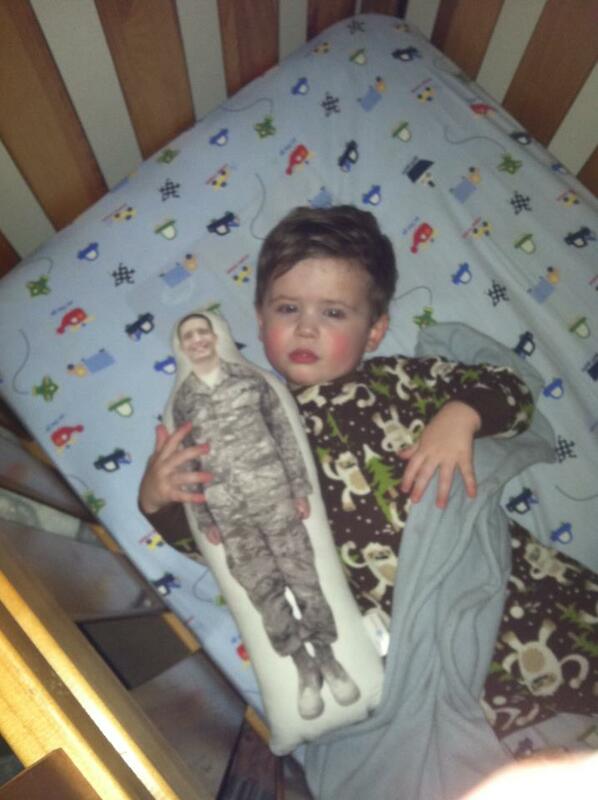 Daddy Dolls are a life-saver during deployment! You submit a picture of your military member in uniform and Daddy Dolls Inc will put the picture on a stuffed and huggable size doll. My son loved his and still carries it all around the house. He slept with it every night and gave it hugs and kisses. It's a great way to help your child get through deployment! You can see my review of Daddy Dolls Inc here: Daddy Doll Review. A family member gave us a book called Together at Heart before my husband deployed. It was a book that you could record yourself reading it. We had never used one before and were excited to see how it worked. 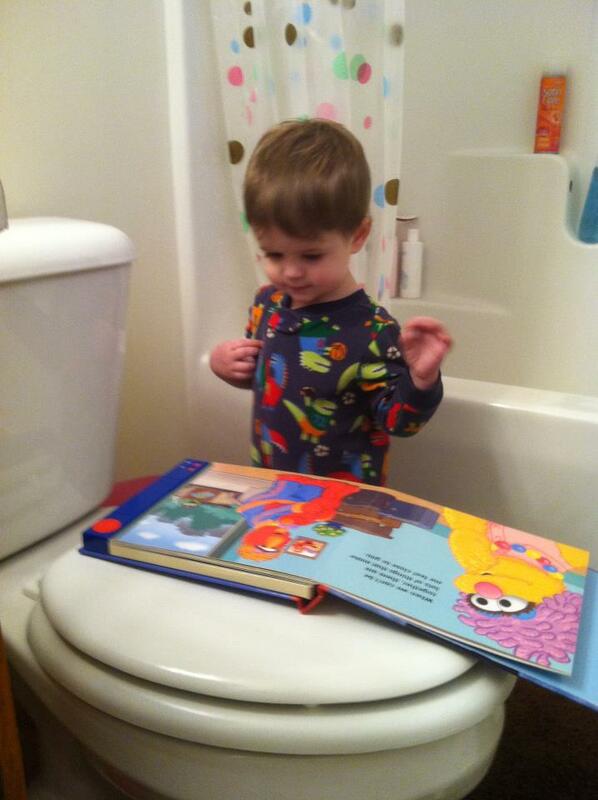 My husband recorded himself reading the book and after he deployed my son listened to this book every day. Day and night! It was his favorite and still is. The book Together at Heart is a book about Elmo from Sesame Street. His dad leaves and the book goes through all the ways that Elmo and his dad stay close together at heart even though they were far apart. It is a very sweet book, and perfect for deployment! You can also make Custom Board books with pictures of your child and daddy: Children & Deployment: Custom Board Books. 7. Have Another Male Role Model. Last, but not least it’s good to have another male role model for your child while your military member is away. It’s not to replace daddy, but to just have that male influence that children need especially boys. I had a few older boys who would come over and play with Adam and he loved that rough and tumble time. I knew it was good for him to have that. Ask around at your church or ask your friends if any of them would be able to pick up that role while your husband is deployed.